Raumfahrt+Astronomie-Blog von CENAP - Blog: Astronomie - Asteroiden-Einschlag in der Nähe von Puerto Rico im September 2015 ? Nicht wahr, sagt NASA! The rumors flying around Twitter, YouTube and other corners of the Internet about a giant asteroid striking Earth? Total nonsense, according to NASA. The erroneous story varies, but mostly it goes like this: an asteroid will hit near Puerto Rico between September 15 and 28, 2015, and destroy much of the Southeastern United States, the Gulf Coast of Mexico, and parts of Central and South America. 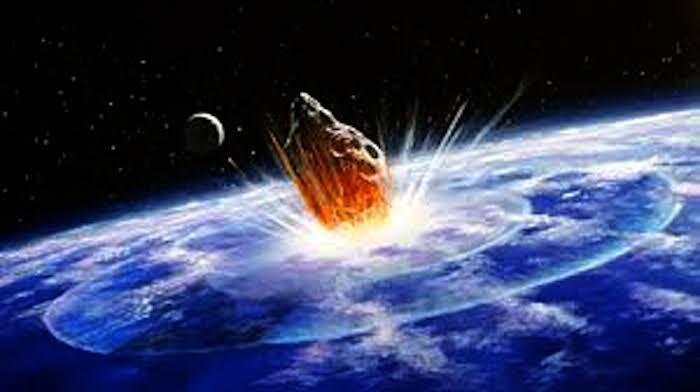 "There is no scientific basis -- not one shred of evidence -- that an asteroid or any other celestial object will impact Earth on those dates," Paul Chodas, manager of NASA's Near-Earth Object office, said in a statement. Yes, NASA is always keeping an eye out for "potentially hazardous asteroids," and it turns out there is a 0.01 percent chance that one will hit Earth in the next 100 years. How do they know? NASA spends around $40 million a year tracking asteroids and other near-Earth objects, both for research purposes and to make sure that killer space objects doesn't catch us by surprise.There are also many telescopes scanning the sky from various organizations, and none of them has spotted an asteroid headed toward Puerto Rico. "If there were any object large enough to do that type of destruction in September," Chodas said, "we would have seen something of it by now."